Brians Golf Works is an Authorized Dealer for the Highest Quality Custom Club and Golf Shaft Manufacturers in golf today. Each of these companies designs are on the leading edge of technology and manufacturing techniques. Unlike Off-the-Shelf golf clubs these clubheads are manufactured in Small, Very High Quality runs using the best materials available. Since 1972 Tom Wishon has designed over 300 original and innovative clubhead models, more than any other single person in the 500 year history of the game. His clubhead designs represent more than 50 different technology firsts. “TOUR EDGE EXOTICS - DESIGNED FOR AND PLAYED ON THE PGA TOUR - AVAILABLE TO ALL GOLFERS”. Tour Edge Exotics Woods include only Original Equipment Manufacturers golf shafts - they NEVER include co-branded OEM designed shafts offered by other club companies. With Alpha golf clubs, you'll find a handful of performance-based collections. Each one built to enhance and optimize your distance, playability, accuracy and feel. In addition to playing the most effective equipment for your performance goals, we believe it's paramount to work closely with your Alpha professional club fitter who can not only match your profile with the right clubs, but also perfectly tune your equipment according to your biophysical abilities and parameters. The results of a professional fitting session will take your game to the next level. To get the most out of your Alpha clubs, make sure to contact one of our acclaimed professional fitters today. Swing Science introduced its a line of composite golf shafts in 2005 and have become the golf industry's number one selling line of graphite shafts. The Swing Science line of golf shafts include Rifle, standard and lightweight steel designs, graphite and composite designs. Swing Science also offers a complete line of Irons, Wedges, Drivers, Woods, Hybrids and Putters designed by industry veteran Jeff Sheets that allows clubmakers to Custom Fit golfers of all player profiles. Swing Science continues to invest in and expand its network of Fitting Centers that are building and repairing golf equipment using Swing Science branded products. EPON has many advantages but they can be summed up in its ability to provide fully integrated in house production systems from product concept all the way through finishing which has earned it high profile customers worldwide. Most notably when it comes to forged golf club irons is the use of 3-D tooling which allows the manufacturer to produce a 1-piece net part requiring less machining and minimal polishing. To ensure the highest quality finished product, EPON has an advanced in-house tooling department that allows tight control from concept to production. The use of 3-D Tooling combined with EPON's precision forging technology is second to none in the world yielding unparalleled manufacturing performance in terms of both dimensional tolerances and surface finish. The complex shapes of iron heads can be formed precisely by forging, combining many of EPON's technical specialties in a single process. This one piece forging process has been perfected through decades of manufacturing the highest quality products for the industry's leading brands. Simply put, if a company is looking for the highest quality product possible it will select EPON. When you are dealing with ultra-premium products such as EPON, you will find that model offerings while important, are not the only factor in iron head selection. Feel is a critical aspect of a golf club. To that end, EPON products are renowned for the buttery soft feel they provide at impact. This desired feel is a result of EPON’s product design, material selection, tooling and ultimately forging process. EPON sticks with the time proven forging method of creating a 1-piece head. Other leading brands use another approach. They purchase a raw forged body without a hosel on it. The hosel is spin welded into place to create a 2-piece head that appears like a 1-piece design. While spin welding offers flexibility on the manufacturing side such as varying the clubs offset, it also leads to a different feel at impact. Golfers in general prefer the feel of a completely solid 1-piece design. With a 2-piece head the vibration wave at impact passes through a weld zone in the hosel which leads to a different feel at impact. While some players are accustomed to a 2-piece design most golfers prefer the soft feel of the 1-piece forged design used in the EPON heads. Acer Golf Clubs utilize the most advanced equipment in golf today. From CAD (computer aided design) design to robotic testing, each Acer club is meticulously crafted using precision instruments and rigorously quality-checking to ensure the most innovative and forgiving golf clubs you have ever hit. Acer’s cutting-edge technology also promises that you will find more enjoyment from the game, hitting the ball with maximum distance and laser accuracy. Acer offers a complete product line. From the twin railed Acer XDS React Driver and Fairway Woods to the unprecedented designs of the Acer XF/XS & XV Irons, Woods and Hybrids, the Acer line assures extreme forgiveness and distance. The Acer XF Irons were named “Best Value” by Golf Digest Magazine and the Acer XF Leggera Titanium Driver was awarded "Great Buy" By Golf Tips Magazine. FROM CURE’S WEBSITE: “Where other putters dip their toes in the pool of adjustability, the Cure Putters do a cannonball. When you mishit a putt with the Cure Putter, it stays on line and gets to the hole. In the RX3, the MOI (Moment of Inertia) starts at 6,700 and goes all the way to an astounding 12,800. The RX1 and RX2 top out even higher, 18,600 and 19,000, respectively. In simple terms, this putter starts out with loads of forgiveness and can end up being downright ridiculous. I find that this is great for short putts, but truly important on long putts where a mishit lag can quickly turn into a three putt. For players that use more weight to steady their hands these putters will live up to their name. 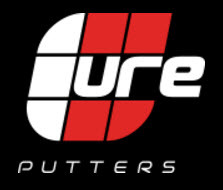 At Brians Golf Works all of our Cure Putters are Custom Fit to each Customer. The RX Series Putter offers the option of Straight or Bent shaft designs. Lie and Length setups plus Choice of Grips are available for all Cure putter models.